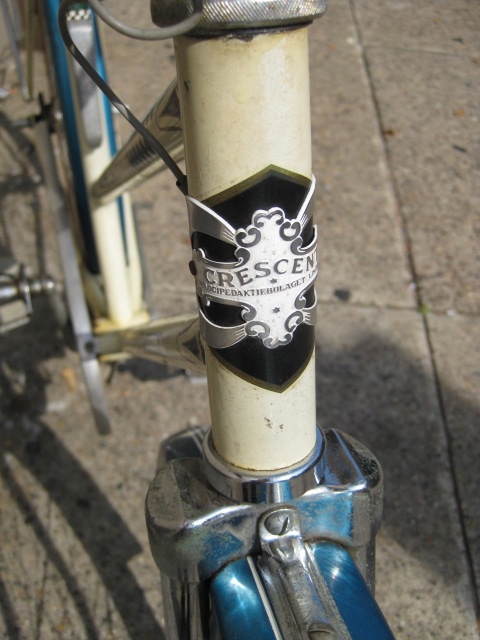 Beautiful Crescent ladies bicycle for sale. 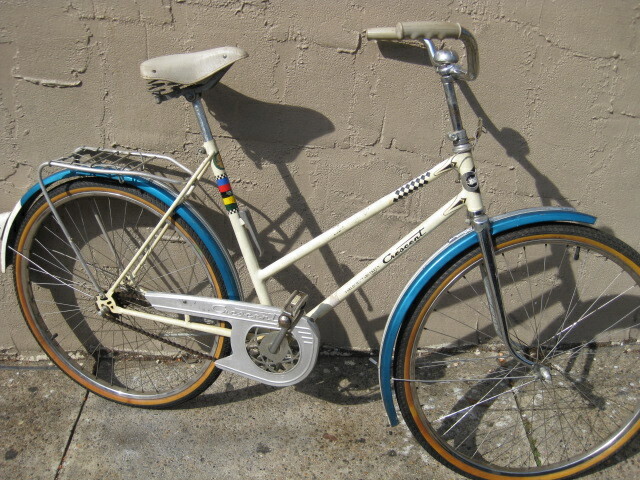 In excellent condition, appears to be all original, minus the tires. 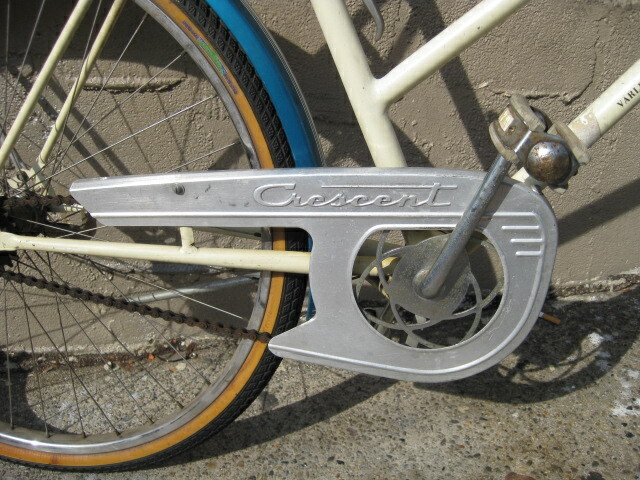 Ornate aluminum chainguard. 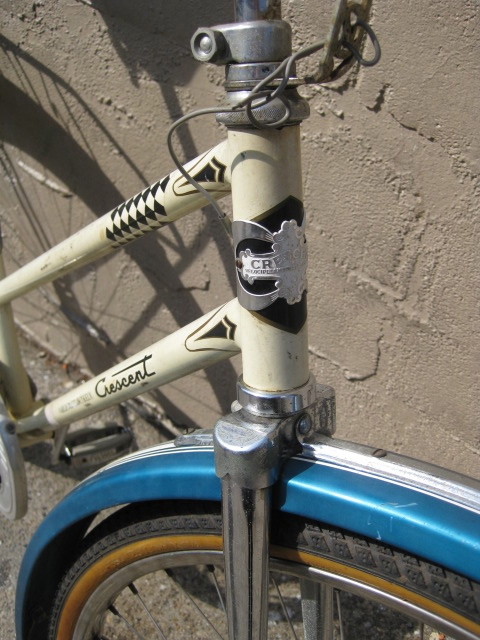 The bike is a one speed, with a coaster brake rear hub. 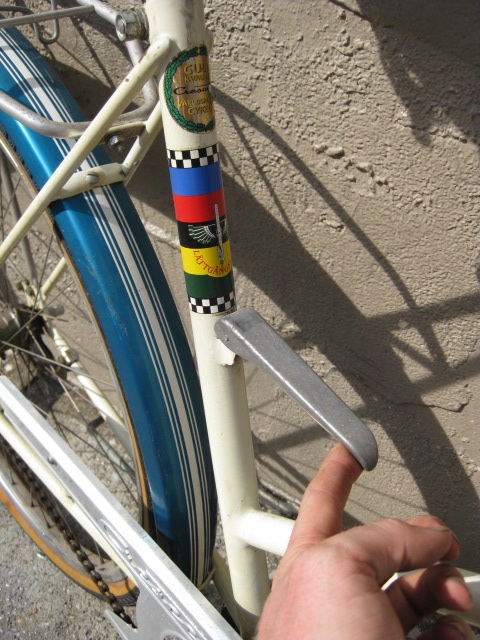 An interesting feature is the handle on the seattube to aid in lifting the bicycle, so it can be carried into a house. 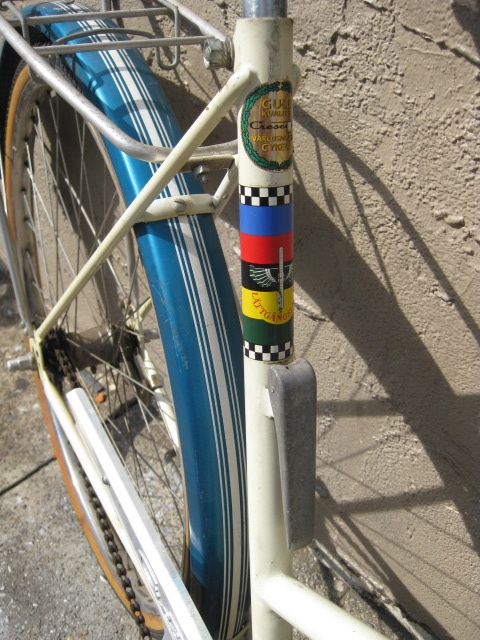 Missing headlight, but we could include something appropriate.